When is a box a book? 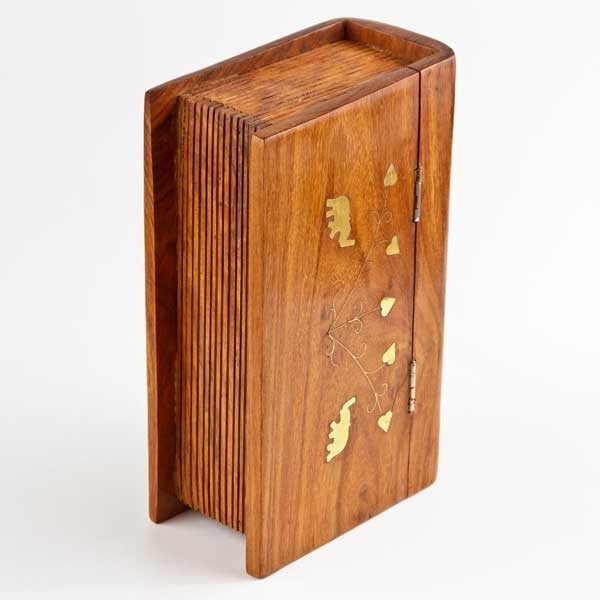 Cleverly designed, this wooden hinged box is carved so that it can appear as a book sitting on a table. Inlaid with brass elephants and love hearts it’s a perfect gift for that special occasion. 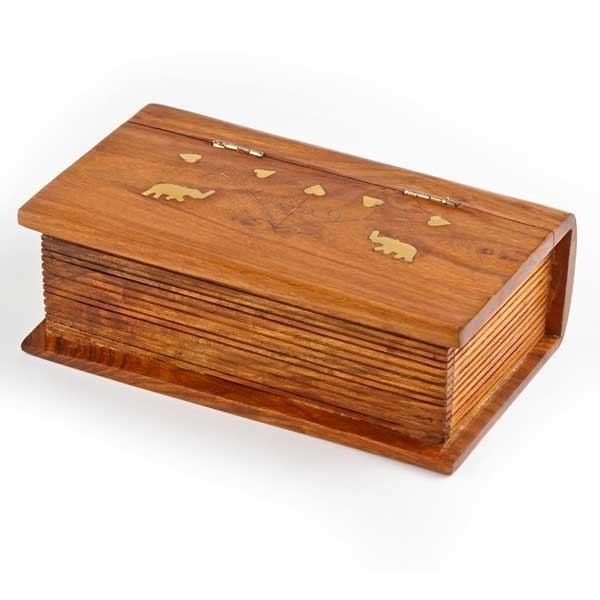 Representing superb value for money, keeping elephant lovers happy, and as a practical item for keeping nik-naks or jewellery, this box will sit happily on your table or dresser for years to come. 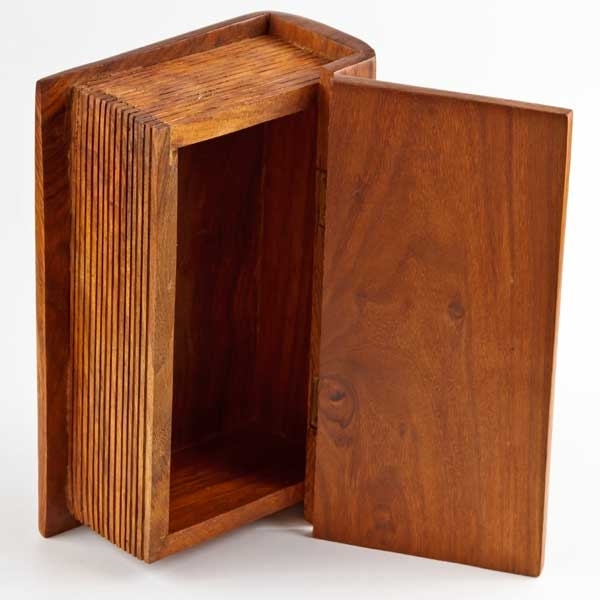 Please note: as each box is individually crafted from wood, there is a natural variation in the grain and colour.